Discs, joints, ligaments, tendons, nerves, and muscles all play a role in the pain and dysfunction around the spine. It is the most complex area to treat with some of the most advanced procedures currently available. Whiplash, sciatica, arthritis, degenerative discs, and scoliosis are all complex conditions that require carefully placed injections to provide relief and function. 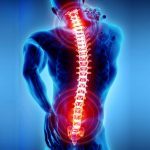 Whiplash, sciatica, arthritis, degenerative discs, and scoliosis are all very complex conditions that require very carefully placed injections to provide relief and function.